The Morgan Sindall team working on the C350 Pudding Mill Lane project has set up a wormery composting system. 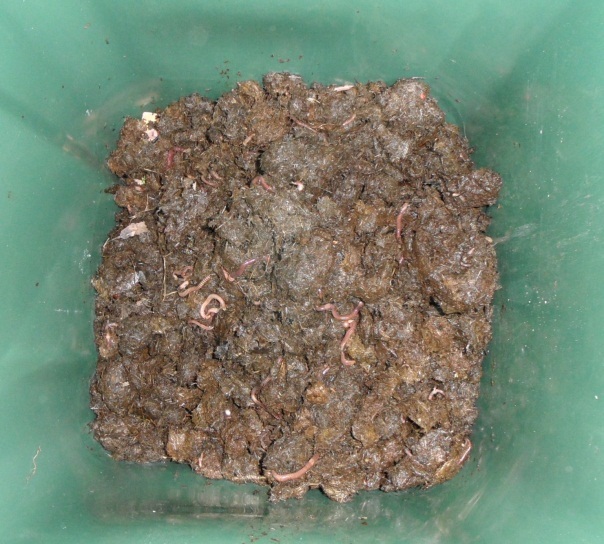 Vermicomposting involves the use of worms to process organic wastes into nutrient rich compost and is a simple way to reduce the volume of waste which has to be sent off site. Suitable composting material includes teabags, coffee grounds, egg shells, cardboard and newspaper. These materials are separated at source and placed in wheelie bins. The bins are kept in a site warehouse which is sheltered and dark in order to provide optimum conditions for the worms. Our worms, including American Red Tiger, Dendra and African Night Crawler species, are placed in the bin and then go to work. Drainage taps have been fitted at the base of the bins to remove any ‘juice’ and keep the moisture levels suitable. As well as helping to raise awareness on site of the importance of reusing waste, other benefits of the project include a minimal setup cost/time, a reduction in the amount of waste sent off site (which helps to reduce the project’s carbon footprint), and the end product of nutrient rich compost, which will be used for our site plant boxes.